The waiting is finally over – Catalysts Coding Contest is back! 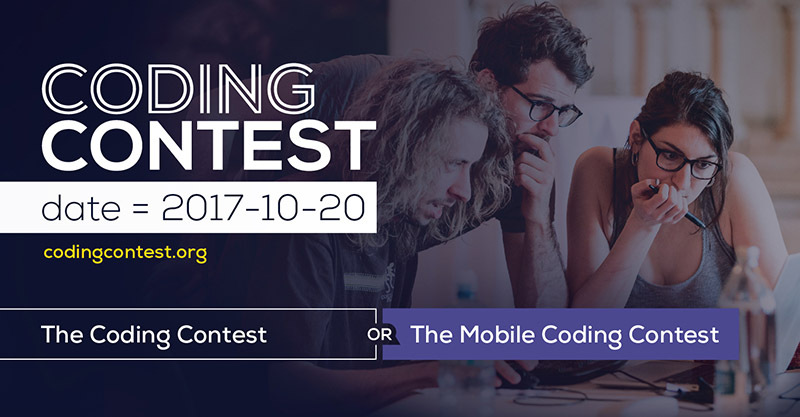 This time you will be able to participate both at the traditional Coding Contest and at the brand new Mobile Contest which will focus on mobile development! Join us on Friday, October 20, from 15:00 at FSEGA. Prepare yourself for an exciting day where you’ll meet a lot of people who share your passion. Make some noise at the contest, show us what you’ve got and we will be more than happy to offer you one of the several prizes worth more than 10.000 euros! Are you rising up to the challenge? This year over 2.000 software developers will measure their skills against each other worldwide. You can participate individually or in a team of 2 or 3 people. All programming languages can be used. PLEASE BRING YOUR OWN LAPTOPS!